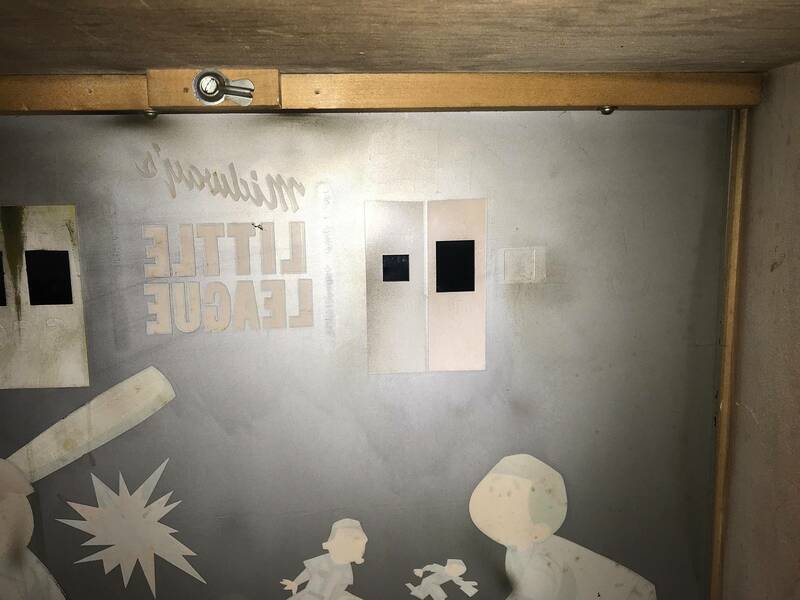 I pasted a a photo off IPDB and you can see the window in backglass for credits... my backglass did not have that and as you can see it kind of seems like it came from factory like that... any ideas? So now that I was able to get game to coin up it was not resetting... I noticed the shot step up unit was not resetting properly... I took apart left side in photo above and had it moving pretty good... I took apart right side and cleaned shaft... I feel like I did not get that spring back on correctly... I have it working now bout the nut on left side is like barely hand tight. Question 3... so I have the game resetting properly... but it will not “score”. 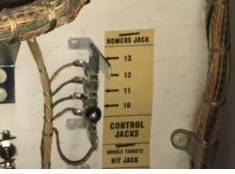 The “double targets” and “homers” work... where do I start? Tightening the nut clamps down the wiper fingers a little tighter which adds more friction as they wipe over the contacts. 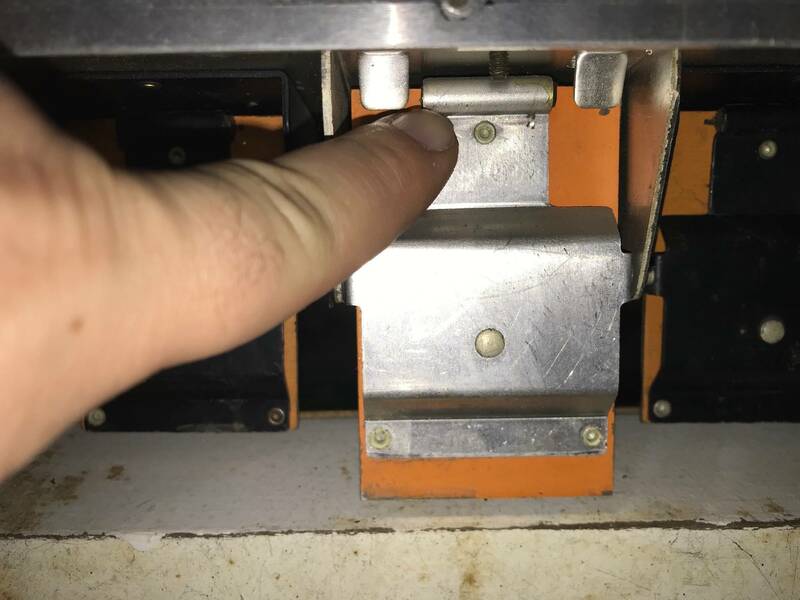 If it's not working with the nut tightened there's either too much friction in the stepper, or not enough torque in the spring wound around the shaft. When you had the wipers off, did you clean the wipers and the contact board? And did you clean both the shaft and the bearing it runs through? If everything is clean then you may need more tension on the spring. Other steppers commonly need about 4 turns on the shaft spring to work reliably. Try adding another turn or two to your spring to see if that helps. Too much tension though and the stepper won't be able to step forward. Try moving the targets manually and see if you can see or hear the magnet reed switch activating. 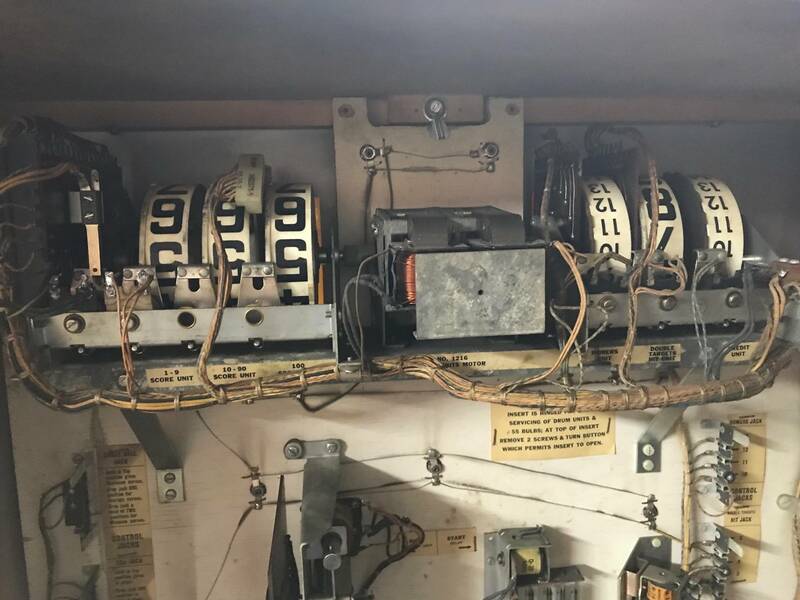 If you put your meter across each switch you should see its resistance drop to maybe an ohm or so when the switch closes. Do they all do that? Ok-- so maybe we can help each other out... 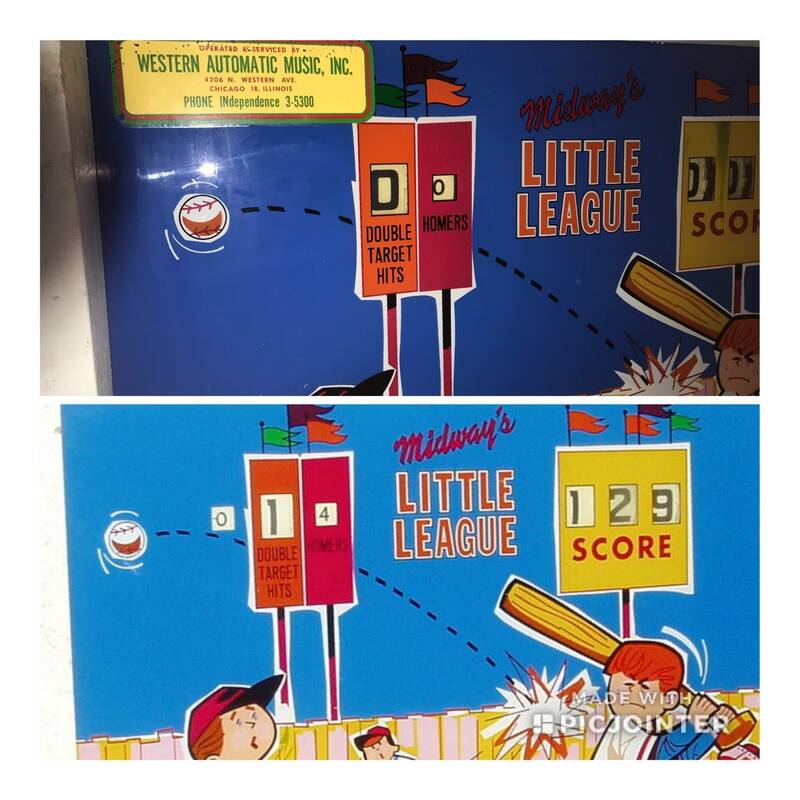 I too have a Midway Little League (a quite rare machine!). Mine has never scored quite right. 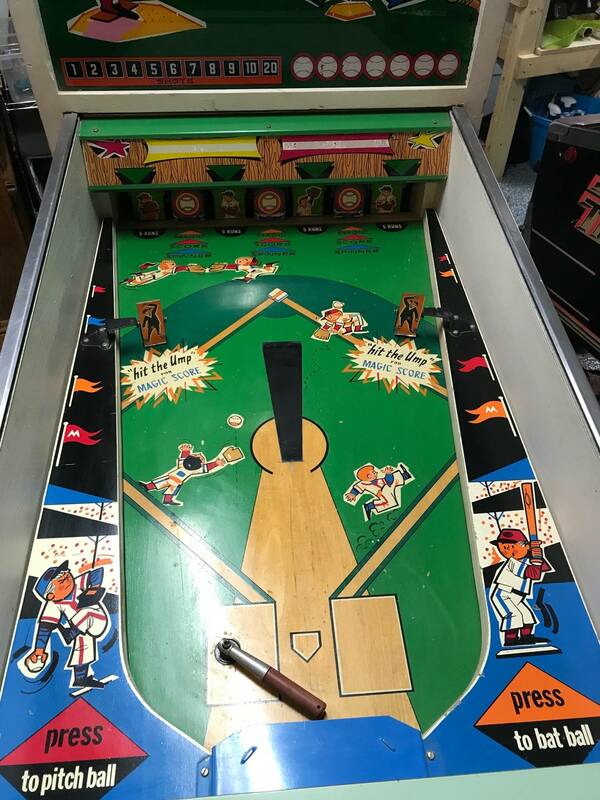 I've seen photos of a number of these machines now, and it would appear that most of them have some sorts of scoring issues. 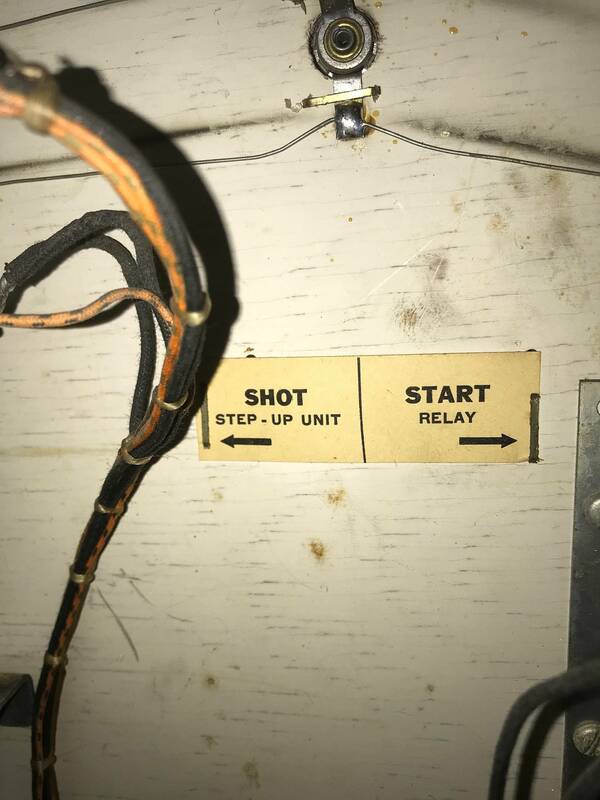 Please take a picture of all of the relays on the back of the door-- that's where the issue lies. Most of the problems seem to be not with the "regular" scoring, but with the magic score- is that your issue as well? Could you please describe exactly what's going on and I will compare it to my machine for you. Your backglass is in incredible condition. Any chance you'd be willing to scan it in so I could have a translite made for mine? My backglass isn't nearly as nice. 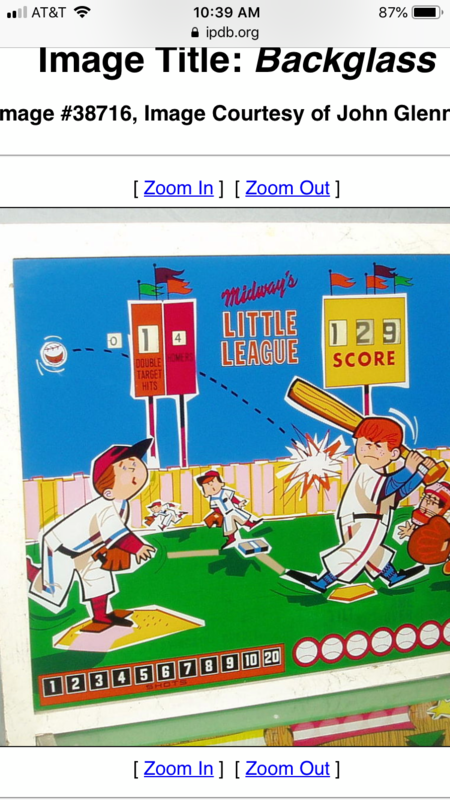 Mine does not “score” at all... homers and double target hits seem to work fine though. 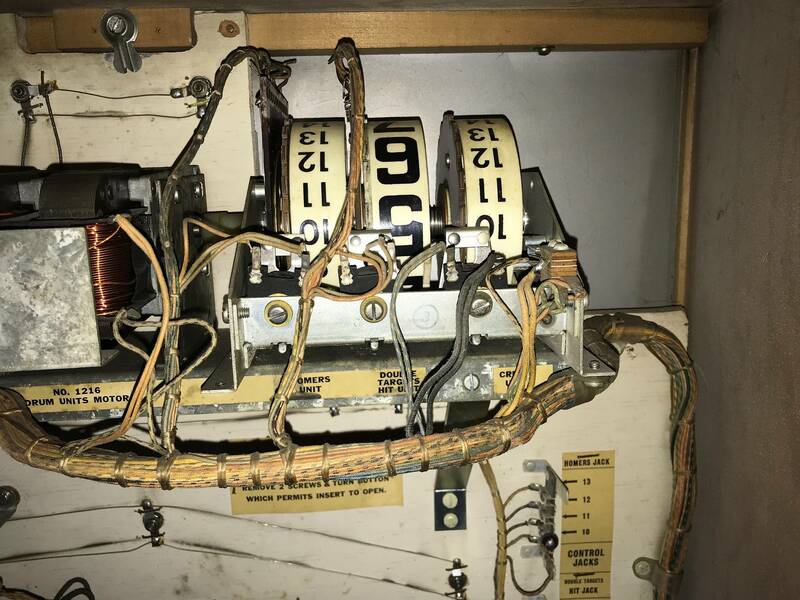 Looking at the schematic piece drsfmd posted in the other thread, it looks like those magnetic switches are normally closed, not normally open. Either way, when the targets swing you should see the switches open and close either visually or with a meter. 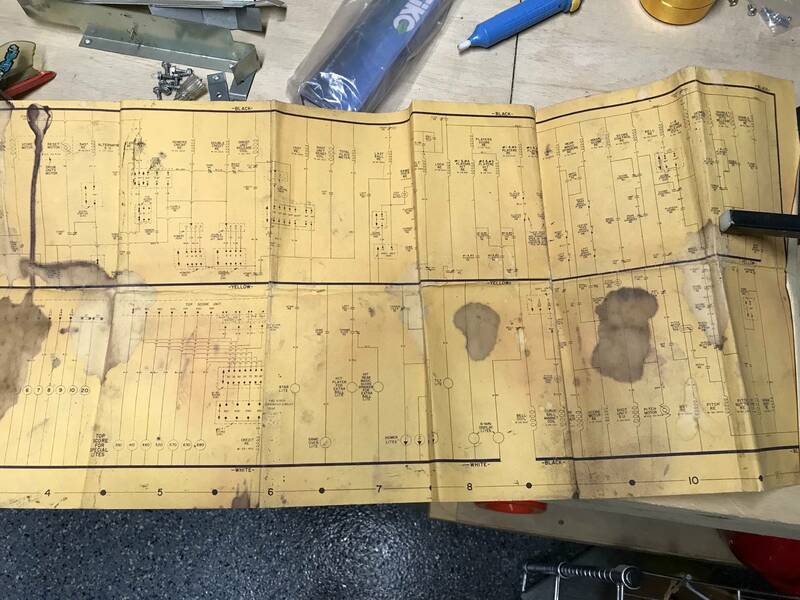 BTW, drsfmd if you're able, please consider scanning your schematic and sending it to ipdb.org since they don't have one. You have a really nice BG and cab for a game that old. Don't mess it up with the wrong cleaners or doing too much. Follow the advice of "the enemy of good is great" trying to improve something thats OK. Follow the advice in the guide on Pinrepair and take it slow. I'm not sure I understand. Do you mean that when you move the targets you can hear the clicking of the relays but nothing happens on the score reels? As far as scoring - lots of possibilities. Start with cleaning switches. 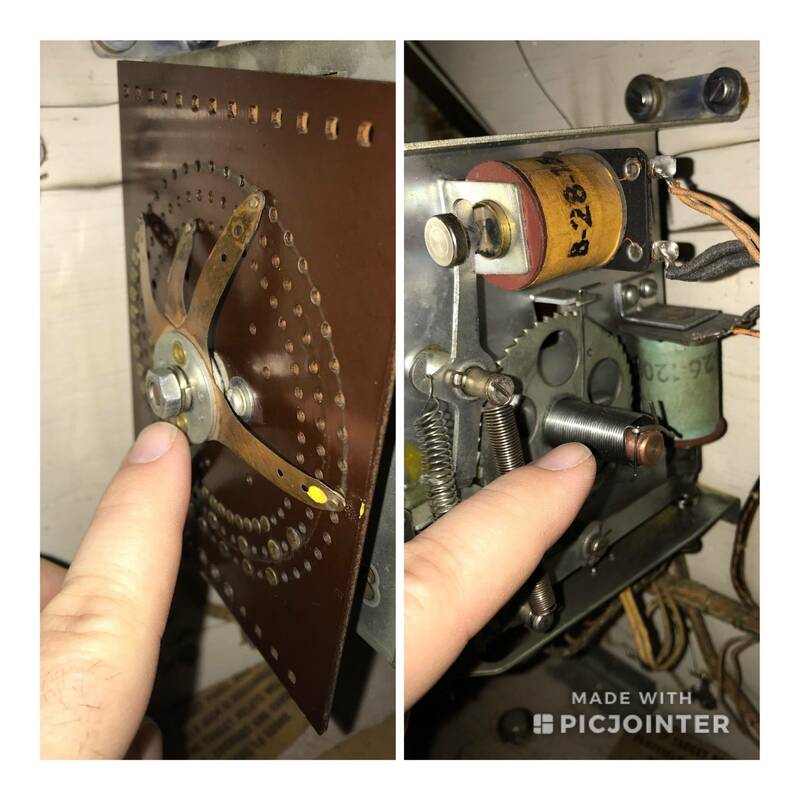 Games from 60's have dirty switches from carbon dust and dirt etc and you need a clean contact. Also get a switch adjuster tool to properly bend switches to correct gaps. 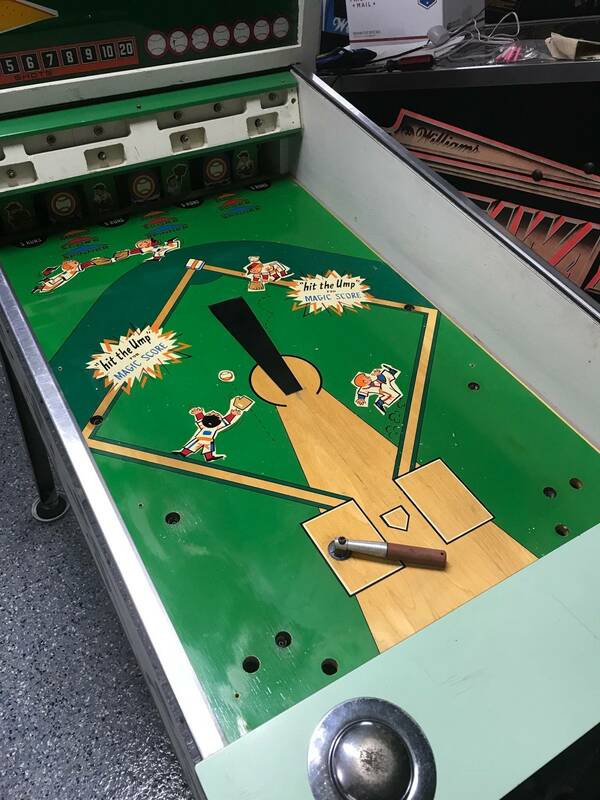 The playfield switches on this game are magnetic, and enclosed in little glass capsules. Very unusual. The relays are more or less what you see in other machines. Anybody out there able to lend a hand? We should start an archive of high resolution backglass images. I've sent Jay a number of items related to rare machines that I own that he hasn't posted yet. Not sure why. Nothing “scores” when I play game. 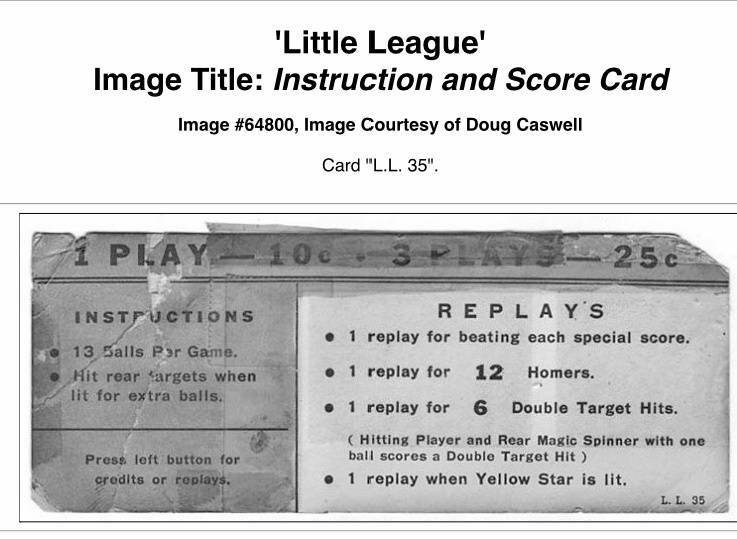 It does count homers though and double targets... if I manual trip relays I can get the “score” to move. 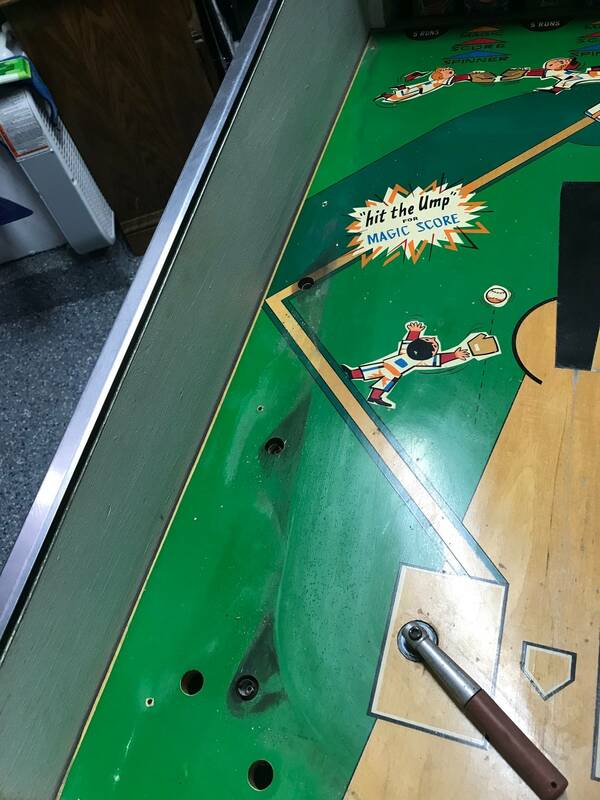 "Milwaukee, Chicago, New Orleans and Los Angeles followed New York’s lead in banning pinball. Other cities such as Washington, D.C., prohibited children from playing it during school hours. Pinball was driven underground and became as much a part of rebel culture as leather jackets, cigarettes and greaser hairstyles." Well I am not sure what I did however wholly crap I think everything is working... 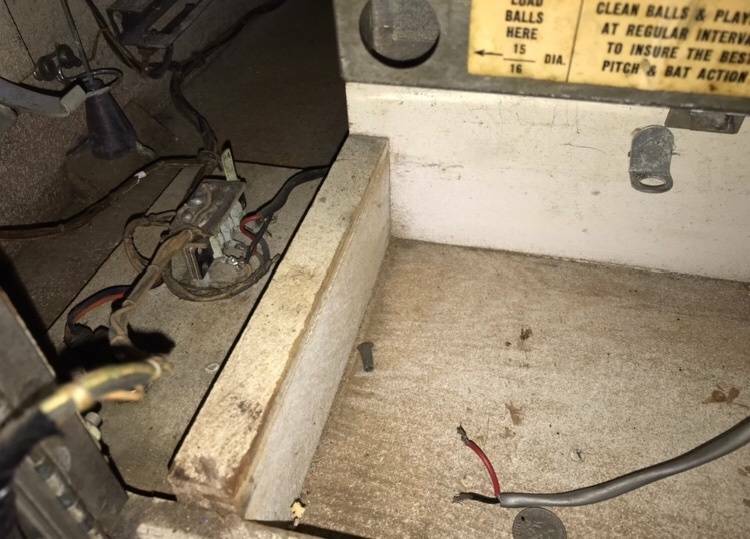 I took off the back panel that covers switches and keeps ball from going into cabinet... I undid the screws that allows that tray holding the 7 spinners to come out. I wanted to see these magnetic switches... I notciced all the magnets in the magic switches had almost fallen out so I pushed back in so they were centered and put the tray back in... my plan was to document what happened then as I hit each switch as the magic switches had actually been doing nothing. Now everything seems to score and work as it should... wow! I’ll need to do some more testing but wow! Interesting-- I'll have to take a look at mine. I don't think I've removed that tray before. Did you take any photos? I think it’s working correctly... the guy I bought it from said it used to work but hasn’t working since moved houses and it sat for years. I’m not sure I’ve seen this yellow star. I can take some tonight and show what I was talking about. Your game must be set up differently than mine. Mine requires an absurdly high number of runs to earn a replay-- but has nothing to do with homers or double target hits. I need to take some pics so we can compare. That was the scorecard off IPDB... mine does not have a scorecard... I believe you can change those settings for double targets and homers... I have not looked into how you get replays based on score or how that works. Those magnets were hanging out 3/4 of the way... just pushed them back in. They are press fit in. “Tilt” is illuminated... it goes away when I start and end a game... in game over mode the are some relays still activated... should any relays be activated in game over mode? 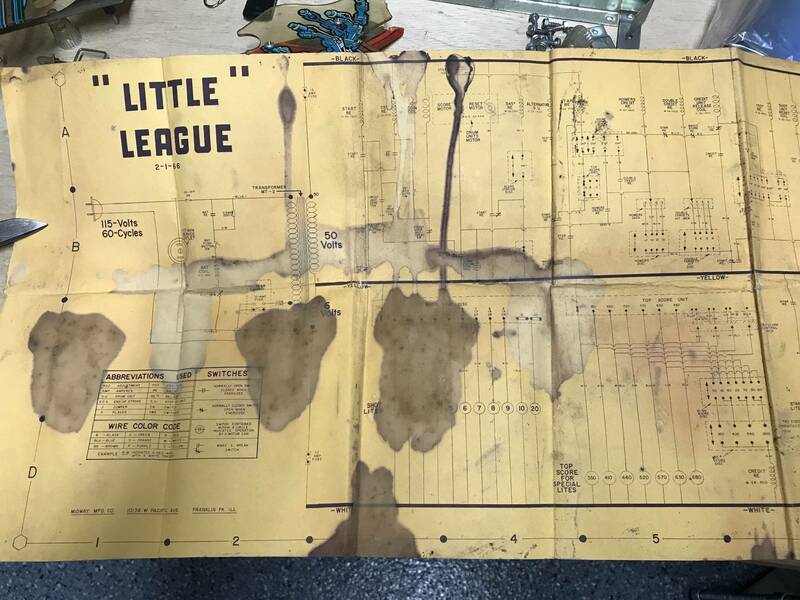 Got do a little more work on Little League. The bottom panel inside the cabinet was coming off on one side so I got that secure back in place... took the small marquee back glass off and I am going to seal it this weekend. Mounted free play switch inside the coin return. 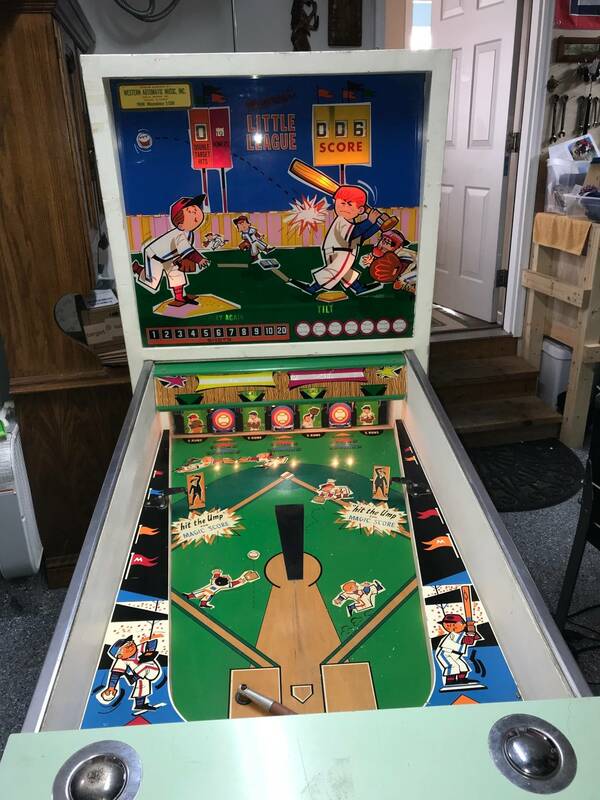 Got the GI all working behind back glass... need to remove back glass and check out bottom section still... took apart too side of playfield and cleaned up with some Novus 2. Still think there are some mechanical issues... any one watch my video and have any comments? Also.. my game came with PF made of plexiglass not tempered glass... normal?